This Love Island fan theory about break-ups has BLOWN our minds | SHEmazing! The Love Island couples are breaking everyone's hearts at the moment with what feels like CONSTANT break-ups, one after another. A string of break-ups in quick succession from Megan Barton Hanson and Wes Nelson, Josh Denzel and Kaz Crossley , and even winners Jack and Dani had brief split back in December. News has just broken that Zara McDermott and Adam Collard have parted ways. 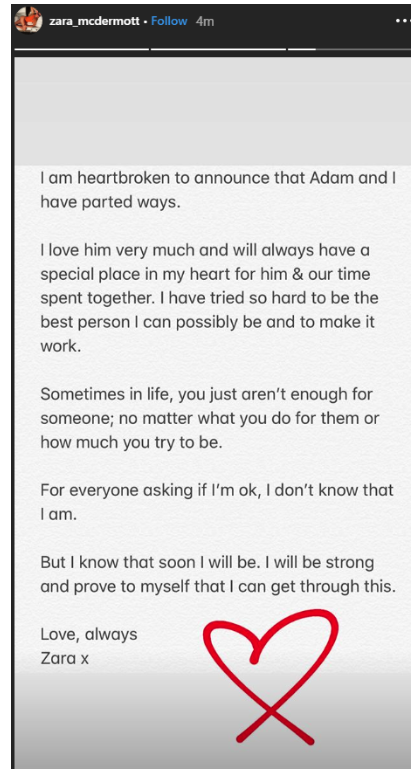 "I am heartbroken to announce that Adam and I have parted ways,' she wrote. "I love him very much and will always have a special place in my heart for him & our time spent together. I have tried so hard to be the best person I can possibly be and to make it work." The couple reportedly decided to break up following Adam's party-boy ways since the show ended. McDermott finished the emotional statement by saying; "Sometimes in life, you just aren't enough for someone, no matter what you do for them or how much you try to be. For everyone asking if I am okay, I dont know that I am. But I know that soon I will be." 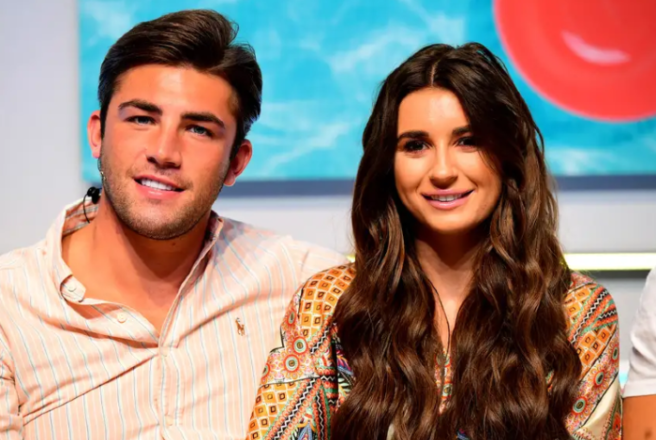 Dani Dyer and Jack Fincham are now officially the last pair standing. Now the viewers are speculating that the ITV reality show implore the couples to sign a 'six-month contact' which prevents them from breaking up until at least six months after the show ends. It was then alleged a few days ago that the pair had taken a break following Jack's admission that he took a class A drug on nights out with friends, only for them to show PDA after Dani's return from Tanzania. Josh Denzel and Kaz Crossley split earlier this month, despite Kaz insisting she "still loves" 26-year-old Josh. Suspish. Megan Barton Hanson split with Wes Nelson following his introduction to Dancing On Ice partner Vanessa Bauer. It was claimed that Hanson was jealous at how much time Wes was spending with his partner, and tensions rose. However, fans are calling bullsh*t, insisting that the entire thing is a hoax. Especially since Megan showed up to Dancing on Ice that same evening. "Does Love Island have a contract with the couples that they have to stay together for six months after the show ends? They're all breaking up this month…"
Hmmm, we need to get our detective hats on for this one, because something fishy is 100 percent afoot. Kaz Crossley spoke about her split on Monday's Capital Breakfast Show, she shut down rumours that her and Josh's romance was fake: "Basically when we met each other on the show everything was so perfect." She confessed: "I definitely was in love. Definitely. I'm still in love. We still have a lot of love for each other." What do you think of the conspiracy theory? 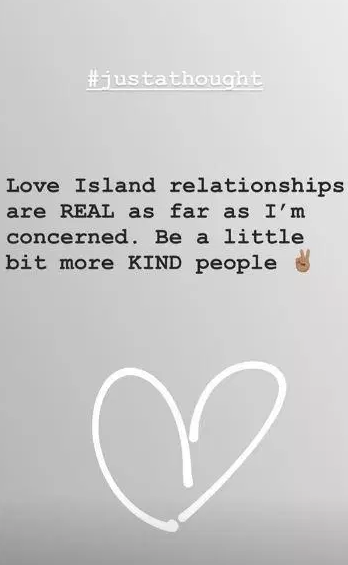 Laura rubbished accusations that her relationship was false, telling people to be "more kind" considering "Love Island relationships are REAL." The show is essentially an eight-week summer sunshine binge, and we all want to believe that it's all real but let's be honest: it ain't so. Do we think that the couples are contractually obliged to stay together when the show ends? We may never know the answer to this INCREDIBLY important question, but we've contact the FBI, MI5 and CIA to get on the case. We need answers, people.